Lures fish in close and keeps them hanging around. 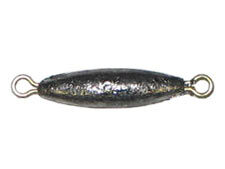 Equipped with unique shape and stainless steel swivels provides amazing action which acts like a fish magnet. 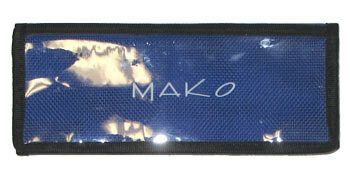 For a tangle free rapid deployment, these Fish Flashers can be connected 2 feet apart using regular fishing line and attached to your MAKO Spearguns Float or dropped from a boat. Even the slightest surface swell or current makes for maximum spinning and erratic movement. When spearfishing deep water, simply drop the flashers to your comfort depth and lure the fish up from the deep. 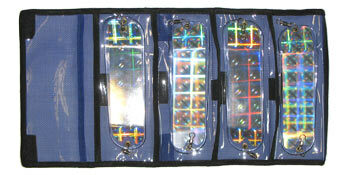 Flashers are sold individually - Buy 4 Flashers and we'll include the Flasher Storage Case at no extra charge! Optional 2 Ounce Trolling Weight is recommended for faster deployment and hunting in heavy current. I received what I expected but they are ineffective in drawing fish. The water is not clear enough so they don't flash and the fish ignore them. Good service and quick delivery. Great flashers, good size and easy to handle. Got my items in no time thanks for a great product cant wait to test them out!